South America is known for its grand and festive feel. Going to Brazil, Argentina, Chile, Peru or Venezuela means that you are looking for a one-of-a-kind festive experience. In South America, this is also reflected in most web designs. Beautiful as they are, South American websites have a seemingly recurring pattern emulating its festive mood. Let’s take a look at Born To Be On. This website is teeming with bright colors. This website surely gives off a South-American feel. With the shades of red as the main color scheme and a simple background pattern, this website gives off a funky feel. It did a great job with the main typography. Paseo Itaigara’s website, on the other hand, did not use a single shade in its color scheme. Nonetheless, it displays a very festive feel in the design. It displayed multiple complementary colors of slightly desaturated blue, yellow and red. The use of diamonds and triangles added to the South American touch as it mimics the famous banderitas (flags) during fiestas (feasts). Same is true for Interativa. The website also showcased a very festive mood as it used #7a1f7f, #01b5e2 ,#e94492, #fbb911 and #0abcb5. Meanwhile Creative House combines its illustrations with bright and bold colors. This creative and colorful doodle of a house that seemingly overflows with ideas and output gives a very powerful message of what the company really is. With the websites that we have looked at, we come to an understanding that the South American web market really wants to reflect their jovial and warm culture to the rest of the world. And they do it boldly: using bright colors, lively illustrations, and loud typography. Big background (or sometimes banner) images commonly filtered and desaturated. Tool embodies a perfect example of how a North American website is designed. It uses a large video background that occupies the whole page screen. However, despite the presence of such element, the beautiful typography is not at all hindered by the video. The reason for this is that the video is desaturated at a level where the text has enough contrast against its background. Also, note that tool’s navigation area has a separate placeholder so that the user can easily recognize it as a navigation bar. In addition, the website gives off a minimalist feel to the design because it gave a lot of white spaces between the texts. Clouds over Cuba agrees to the design style of Tool. It also uses a video background and desaturated colors, making black and gray stand out the most. Aside from that, the website also has great typography. On the other hand, Nike’s website made its big background image-saturated. However, it still possesses the recurring elements like its minimalist approach and typography. What makes Nike a nice North American web design is that it focuses on making images big that it takes up the whole screen. This adds the beauty to what has already been a great design. Truly, North American web design relies on images and clean typography. That is its advantage. Because most North-American web designs are clean-looking and minimalist, the user can easily facilitate the information being fed to him. It’s like the lukewarm of designs where you can enjoy the message being sent without being distracted by the design itself. Europe somehow sits between the coldness of North America and the warmth of the South. Europe presents a fusion of brightness and the lack of festivity and business-mindedness. It just tells us how culturally rich Europe is and how web designers view their work as something that mixes seriousness with a pinch of fun. 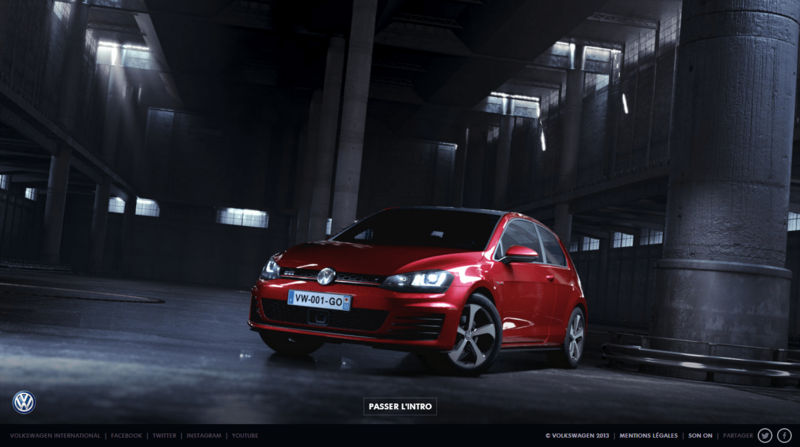 Let’s take a look at Volkswagen.fr. As soon as the page loads, you are welcomed by a dark-themed welcome animation. They commonly start with loading animations. When the website fully loads, you’ll readily see the dark-themed design fully loaded with a swipe-enabled interactive menu. Most websites in the continent follow the pattern where the user can actually make the most out of the interface. This is what sets the brand for the designers in Europe- they are able to create very interactive websites with great class! Cheers for that. This also goes true with the Swedish-designed website for the Hobbit. The same pattern was followed. A sleek-looking loading animation and interactivity. While in the first two examples, dark colors were used, Pharrell Williams’ website deviates from this pattern as it uses bright colors. However, this doesn’t really venture off with the flow with the recurring pattern. The website also uses a very simple loading animation as you wait for the interactive video-embedded main page. It greatly mixes interactive elements such as video control buttons with the other elements and made it really synergistic with the video background. Black Negative follows the same pattern as it uses a loading effect (although it took some time to finally load it up) as it had extra features like sound and swipe ability. The European style in web design is all about mixing professionalism and fun. It’s best at providing great flow of information without giving up creativity. Truly, gazing upon European web design is like looking at Louvre. You will see art up close. And now, we go to Asia. The biggest continent and certainly one of the most colorful ones. Asian web design is generally as flexible and as diverse as the culture in the continent is. Understanding a certain feel with the Asian web design would be very difficult as the continent houses very different cultures. For the purpose of understanding the style of Asian web design, I took the liberty to divide the styles into two units: design from the Middle East (Arabic) and the Orient. Arabia is often perceived with sand, beautiful Islamic tapestry, luxurious and rich history, camels and arabesque art. It’s commonly seen as a world full of magical surprises, especially to someone who has the privilege to visit this beautiful land. However, Arabic web design lacks maturity even if its region is teeming with history. Smashing Magazine labels Arabic web design to have “a wealth of history” but considers web design as immature. Smashing Magazine may have remarked this way because its typographic design, in particular, does not reflect the richness of the Arabic language. The language heavily relied on Arabic script-based handwriting, which has not been supported for a long time. Despite this, there is no denying that Arabic web design is as unique and mystic as the region is. With its beautiful appreciation for calligraphy, the Middle East has given birth to a one-of-a-kind design brand. We take GlueTube as the first example. This website has all the tell-tale signs of skeumorphism. It uses realistic elements rather than flat ones. It has elements like the hand illustration that seemed to follow the mouse pointer. It also embodies bright colors with its # fab500 background color. Aside from the jQuery slider, this website pretty much looked like pre-Flat design. Massa is pretty much ‘cleaner’ than Glue Tube as it uses the minimalist design. However, its overall look is mainly reeled towards skeuomorphism. After clicking through the homepage, you will be brought to the product-menu page, which, interestingly enough, follows up to the minimalist feel of the design. Overall, the Arabic web design is still untapped. Smashing Magazine says this is due to the lack of acceptance in the Arabic community with freelancing. However, it’s still not too late for the web design to flourish in the Arab world. It can develop into something unique, given a few more time. The likes of China, Singapore, the Philippines and Japan (and a few more countries) make up Oriental web design. The Orient is commonly seen as the land of spice and flavor. Truly, the designs in this region commonly reflect what the culture is. Let’s take some websites from the Orient and see what they really have in common. 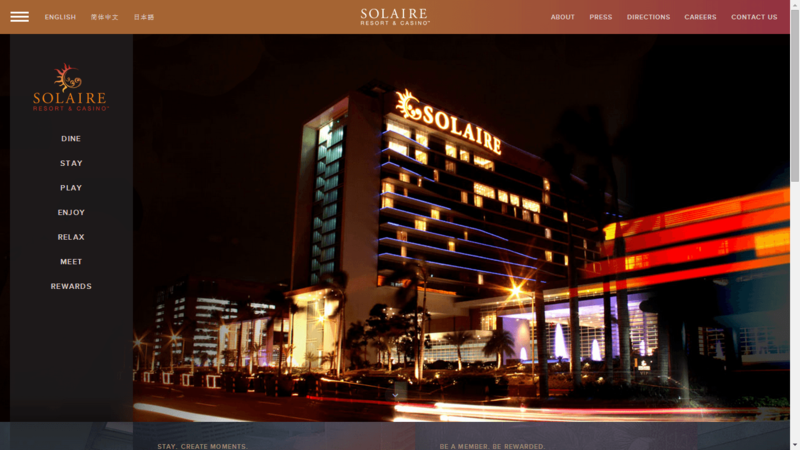 First off the list is Solaire’s website. This resort-casino website focuses more on the content rather than design, particularly with typography. The website also is not a fan of minimalism as it compresses a lot of elements in the page. It’s just a basic website. No fancy animations or interactive elements. Same is true with dingzhou’s portfolio. This website focused on an all-white design, which uses a single font face and does not embody great typography. Simplicity is the cornerstone of its look. It also did not contain a lot of images and effects like jQuery sliders, animations and more. While Browser QQ and Dentsu uses parallax scrolling effects, one cannot deny that they are truly Asian-made because the design is mainly focused in simplicity. These two websites generally used white and warm colors in their design. Asia truly is unique, as their web design style is. It stamps its own flavor, kick and mysticism to its designs, making each of them truly unique and hauntingly beautiful. Web design is truly unique and differs from person to person and from culture to culture. However, that should not be the reason for web designers to become scared of designing for a culture that they are not familiar with. It’s just a matter of understanding the factors that surround their web design industry and accepting them to make a better design. Which web region do you belong? Do you agree with what the points in this article? Let’s talk about it.